It is truly awesome to welcome author Di Bates to the blog today, to introduce us to her new book series, Awesome Animals. Welcome Di. Over to you. Another visitor! 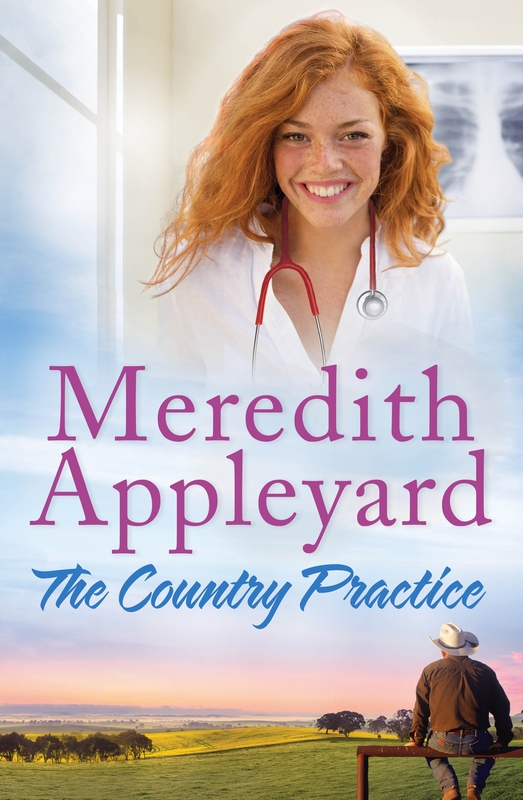 Today I welcome Meredith Appleyard here to answer my quick questions about her new book. Over to you, Meredith. I can’t imagine life without books. I’ve read and enjoyed so many. I want to make a contribution, and I love making up stories. Writing it was a joy. The hardest thing was having the confidence to ‘put it out there’. The cover – Penguin did it so right. That I could do it – that I had the tenacity and downright doggedness to keep going. Celebrations started when I received the advance copies in the post! The high point, and probably the best night of my life, was a local book launch on 25 February 2015 attended by friends and family. On the night the local Collins book shop sold out of their 80 copies of The Country Practice! And, I received flowers from the Penguin Team and a letter of congratulations from the Premier of SA. Doesn’t get much better than that. I have been doing radio interviews, locally and interstate, blogs and Q&As. I’ve been interviewed by journalists for local and interstate publications and I have a raft of author talks across SA. Book 2 is almost done. When I’ve finished it will go off to my agent and hopefully you’ll see it in print sometime in the not too distant future. On Facebook – Meredith Appleyard Author. The Country Practice is out now. Today Avril Tremayne joins me to introduce you to her new book, Wanting Mr Wrong. Blurb: Evie Parker has never been one to swoon after celebrities – give her a neuroscientist over an actor any day! So when she develops her first movie-star crush, she’s determined to date her way out of it, starting with the next good-looking doctor she sees. Yet hovering on the fringes of her life is her gay best friend’s determined brother, Jackson J Stevens, a famous actor who comes with trailing paparazzi. The one thing worse than a celebrity in Evie’s eyes is a media circus, so Jack isn’t an option no matter how hard he flirts with her. Evie knows what she doesn’t want; Jack knows what he does. And somewhere in the middle, pheromones are making things go haywire every time they’re together. I got the idea for this book after watching British actor Matthew Macfadyen play Mr Darcy in Pride and Prejudice. He was my first ever movie star crush and I was a little bit shocked at how obsessed I became. My work colleagues at the time were shameless enablers, so a period of YouTube watching and fan site scouring ensued – and it was a very funny and wonderful period in my life, to be honest. I have a habit of using stray events like that and twisting them into story ideas, and this one was irresistible. What would happen if I put a heroine in the same ‘crush’ predicament…? Wanting Mr Wrong is the result. The idea part happened years ago, but all that YouTube watching aside, my job at the time was very a demanding 24/7 one, with unpredictable hours and travel patterns, which made it almost impossible to write a book – although I did a lot of thinking about how it would progress and the types of scenes I would include. It wasn’t until two years ago, when I decided to opt out of corporate life, that I got the chance to put it together properly. Finding the best way to tell it. I initially wrote the book in the third person, from the points of view of both the heroine and hero. But something about it didn’t quite feel right. I’m not sure what made me rewrite it solely from the heroine’s point of view, but once I started doing that, it seemed to click. It was, nevertheless, a massive adjustment. The coolest thing is the character of Drew – the heroine’s best friend, who is also the hero’s brother. He is funny and irreverent and tells it like it is, but has a wonderful heart. The rewriting I mentioned taught me a lot about paring back, because I had to kill a lot of darlings in the process. I also learnt a lot about using dialogue to the best advantage, because that was the only way I had of letting readers into the hero’s head. I celebrate, always, with a Negroni. I’m fairly active on social media, as well as a columnist on a couple of romance writers’ blog sites. I’m still a relatively new writer, but I believe in taking advantage of every opportunity. When I finished Wanting Mr Wrong, I knew I wasn’t ready to say goodbye to Evie’s friends, Chloe and Drew, so I am actually working on books for those characters. I’m in the process of finishing Chloe’s story right now. Chloe is a television reporter with a reputation for being cool, calm and collected – but she has a fiery core that only one man seems to see. Thanks for popping in, Avril, and good luck with the book! If you want to learn more about Avril and Wanting Mr Wrong, you can follow the rest of her blog tour. Tomorrow she is at My Written Romance. It’s lovely to have Lisa Walker here today to talk about her new book. Over to you, Lisa. Release Date: 1st February, 2015. This story started with the idea of a pilgrimage. Over the last ten years or so it has seemed like almost everyone I meet has just done, or is about to do, a pilgrimage. Those who have returned talk about it ecstatically – it was life changing, they say. The idea of a pilgrimage attracted me. I visualised the experience as a chance to take stock and maybe change direction. Although I am yet to do one myself I still have a vague notion that at some stage I will head out on a spiritual journey from which I will return changed for the better. Instead of a journey, my fascination with pilgrimages has produced a book. 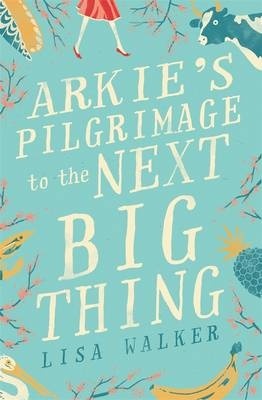 Arkie’s pilgrimage forms the backbone of a story about redemption, trust and finding magic in the everyday. About four years. I tend to write my first draft quite quickly but then take a long time to revise and polish it. Finding the right concept and then sticking with it was hard. The novel started as a story about a woman walking the Shikoku pilgrimage trail in Japan. I bought a lot of books about the pilgrimage and became quite an armchair expert, but somehow I could never find the time to go to Shikoku and research it. Despite this obstacle the book was on a roll so, loathe to put on the brakes, I got creative and changed the setting. My pilgrim now travels no further north than Noosa and no further south than Sydney. She is a ‘do it yourself’ pilgrim, finding transcendence on the highways of our local area on her way to the next ‘big thing’. Throughout the writing process the concept of a pilgrimage to the ‘big things’ often struck me as a little wacky and I got quite shy trying to describe my story to others. My writing group was very good at encouraging me along to the next big thing. Probably the fact that I’ve managed to combine a pilgrimage, a mid-life crisis, big things, surrealism, ‘The Wizard of Oz’, spirituality and a dash of magic all in one book. As well as learning a lot about big things I also researched Japanese spirituality. I was particularly taken with the story of Tanuki the shape-shifting racoon dog. Tanuki is a trickster who pays for his food and drinks in money which turns to leaves as soon as he is out of sight. He can also turn himself into a teapot at will. When Arkie picks up an old teapot on the side of the road strange things begin to happen. I had a launch party at the Northern Rivers Writers Centre in Byron Bay. The staff at the centre have been a big support to me over many years and every book is a huge milestone. You can’t let it go past without raising a glass of champagne. For a start, I’m doing a blog tour! My son, who’s into film, has made a book trailer for me, which you can see on my website www.lisawalker.com.au. I’m doing two speaking events in Sydney (at Ashfield and Randwick), one in Lismore and one on the Gold Coast. You can find out more about these on my blog www.lisawalkerwriter.wordpress.com. I also have an article about big things coming out in the Fairfax ‘Escape’ travel section across Australia and Random House is doing a TV ad on Foxtel, which is pretty exciting. I’ll be at Bellingen Writers Festival in June and Byron Bay Writers Festival in August and I’m sure some other events will pop up along the way. I’m branching out. My current work-in-progress is a young adult novel about a Brisbane teenager with an obsession for Paris. It’s a coming of age story, tentatively titled ‘Paris Syndrome’. I’ve just been over in France doing some research, which was awfully tough of course. Arkie’s Pilgrimage to the Next Big Thing is out now! You can see all the dates for Lisa’s blog tour here. Today’s visitor is Goldie Alexander, here to answer the ten questions which allow us to meet her new book. Over to you, Goldie. What triggered me was the plight of our asylum seekers and the ‘Children Overboard’ incident, a situation John Howard used to regain his position as our prime minister. The similarity to the events of 1954 was overpowering. “That Stranger next Door” is set at the height of the ‘Cold War’. In the United States, Senator McCarthy was using anti-communist laws to force academics, film makers and other intellectuals to a senate hearing to ask if they ever belonged to the Communist Party and to name anyone who had gone to their meetings. Many people lost their jobs and their families. Some even committed suicide. When an insignificant Russian diplomat called Vladimir Petrov defected to Australia, promising to provide information about a Russian spy-ring, he forgot or avoided mentioning this to his wife. As Evdokia was pulled onto a plane in Darwin, she was rescued at the last minute by ASIO and hidden in a ‘safe house’. At the time PM Menzies was also trying to bring in similar anti-communist legislation to the US, and thankfully, in this he was unsuccessful. From idea to actual publication took about three years. But between times I had a bad accident and that slowed things down. Finding the right publisher. Too many young submissions editors didn’t know anything about the Petrov Affair, or they didn’t see any relevance to the present by exploring the 1950’s, or they didn’t think young readers would be interested in that affair. The relationship between Jewish Ruth and Catholic Patrick, a strictly Romeo and Juliet affair. Also, how restrictive it was to be a teen back in the fifties. Careful research. How important it is to have convincing characters. How stories develop almost on their own from the character’s personalities, and the times they live in. How important it is to write several drafts before submitting a novel to a publisher. I could go on and on as every book I do can feel like starting all over again. Though I rarely launch my latest books in bookshops or festivals, a wonderful opportunity came up to launch ‘That Stranger Next Door’ at a the Melbourne Jewish Writer’s Festival. Many of my writing and other friends turned up to help me celebrate. Through Twitter and Facebook, my own blog, and other blogs such as this. Also, a blog tour featuring other well known authors such as Kate Forsythe, Hazel Edwards, George Ivanoff, Jane Yolen, Pauline Luke, Julia Lawrenson, Errol Broome and Felicity Pulman. These blogs will turn up on Clan Destine and my own blog. These very respected authors talk about their own work. I have just had “In Hades” come out and will have to use the time promote it. As ‘In Hades’ is a verse novel, I expect some ‘different’ responses. All my books for young readers have Teacher Notes. Finally, thank you Sally for allowing me to visit your blog.